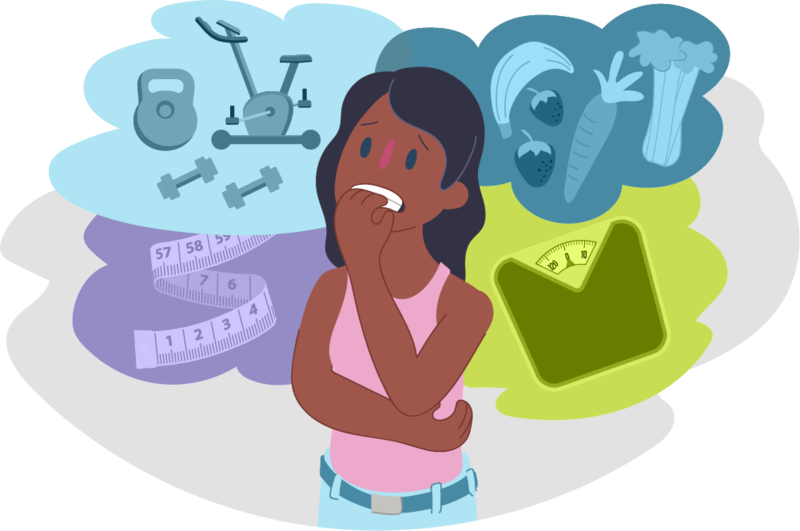 Eating​ ​disorders​ ​are​ ​serious​ ​and​ ​have​ ​a​ ​big​ ​impact​ ​on​ ​someone’s health.​ ​We’re​ ​here​ ​to​ ​help.​ ​Learn​ ​more​ ​about​ ​eating​ ​disorders, what​ ​the​ ​warning​ ​signs​ ​are,​ ​and​ ​who​ ​can​ ​help​ you ​change​ ​your relationship​ ​with​ ​food. It’s​ ​more​ ​than​ ​just​ ​eating​ ​too​ ​little​ ​or​ ​too​ ​much.​ ​It’s​ ​when​ ​someone​ ​has​ ​an unhealthy​ ​focus​ ​on​ ​eating,​ ​exercising,​ ​or​ ​their​ ​body​ ​size​ ​or​ ​shape. How to tell if your relationship with food is becoming unhealthy? If you're worried about your eating habits, it's important to seek help as soon as possible. 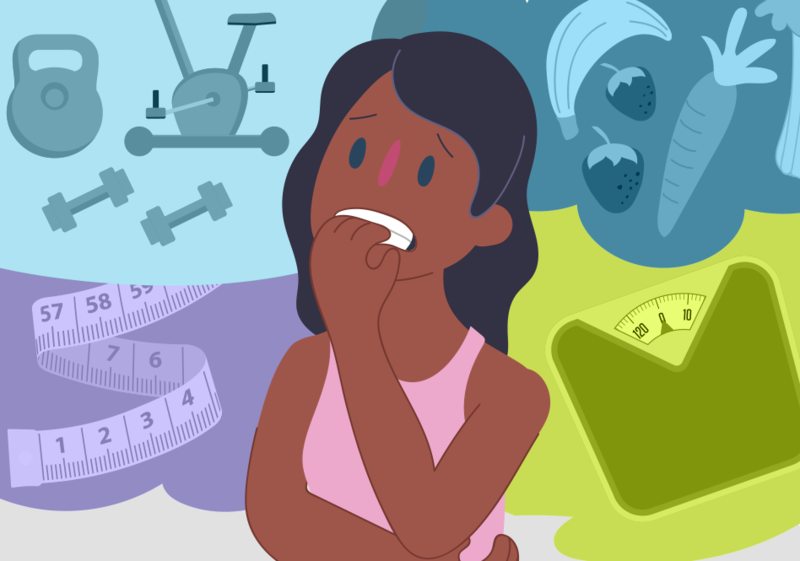 If​ ​you​ ​notice​ ​any​ ​of​ ​these​ ​signs​ ​or​ ​you’re​ ​worried​ ​about​ ​your​ ​eating​ ​and exercise​ ​habits​ ​–​ ​we’re​ ​here​ ​to​ ​help.